Rachel wearing her super soft faux fur coat. It is a travesty of modern technology that you cannot feel the softness but trust me, it’s soft. 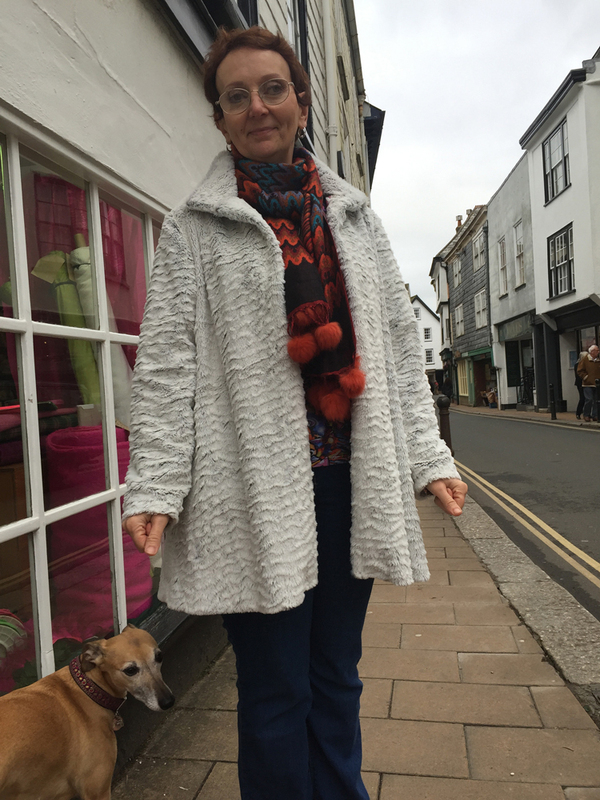 Made in a jiffy and lined in elephant print stetch poly satin, this coat is equally happy walking the mental worm dog as it is keeping the chills off your posh frock at a flash soireé.